The Firefox add-ons platform provides developers with a great level of freedom to create amazing features that help make users’ lives easier. We’ve made some significant changes to add-ons over the past year, and would like to make developers aware of some updates to the policies that guide add-ons that are distributed publicly. We regularly review and update our policies in reaction to changes in the add-on ecosystem, and to ensure both developers and users have a safe and enjoyable experience. With the transition to the WebExtensions API, we have updated our policies to better reflect the characteristics of the new technology, and to better clarify the practices that have been established over the years. As existing add-ons may require changes to comply with the new policies, we would like to encourage add-on developers to preview the policies, and make any necessary preparations to adjust their add-ons. With some minor exceptions for add-ons listed on addons.mozilla.org, all policies apply to any add-ons that are distributed to consumers in any manner. Add-on listings should have an easy-to-read description about everything it does. 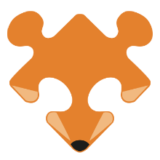 Add-ons that contain obfuscated, minified or otherwise machine-generated code, must provide the original, non-generated source code to Mozilla during submission as well as instructions on how to reproduce the build. Collecting data not explicitly required for the add-on’s basic functionality is prohibited. Add-ons must only collect information about add-on performance and/or use. If you have questions about the updated policies or would like to provide feedback, feel free to reply on the discourse thread. The new policies will be effective April 1, 2018. Will the forthcoming policy change be retrospective, causing nondescript listings such as https://addons.mozilla.org/addon/nette-debug-mode/ to disappear?